Renée is an award-winning set and costume designer. Renée works with Australia’s leading directors including: Sarah Goodes, Lee Lewis, Paige Rattray, Imara Savage, Sam Strong, Andrew Upton and Kip Williams. 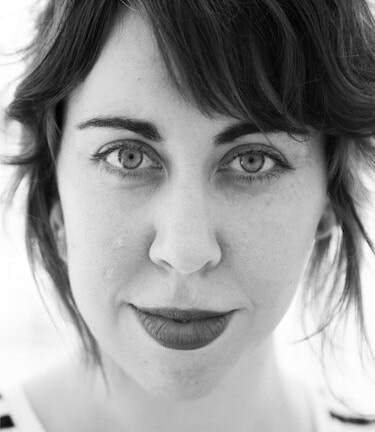 Renée was Resident Designer at Sydney Theatre Company from 2012-2014 and a member of Queensland Theatre’s National Artistic Team from 2016-2017. Designs for theatre include: for Sydney Theatre Company, costume HARP IN THE SOUTH, SAINT JOAN, TOP GIRLS, CHIMERICA, CHILDREN OF THE SUN, ENDGAME, VERE (FAITH), set and costume BLACK IS THE NEW WHITE, HAMLET: PRINCE OF SKIDMARK, ORLANDO, BATTLE OF WATERLOO, PERPLEX, THE EFFECT, THE LONG WAY HOME, DANCE BETTER AT PARTIES, MRS. WARREN’S PROFESSION, THE LUCK CHILD, IN A HEART BEAT, THE SPLINTER, EDWARD GANT’S AMAZING FEATS OF LONELINESS, associate CYRANO DE BERGERAC; for Griffin Theatre, RICE, THE BLEEDING TREE, THE BOYS, HOAX; for Bell Shakespeare, ROMEO AND JULIET; for Queensland Theatre, NEARER THE GODS, AN OCTOROON, RICE (with Griffin), SACRE BLEU, FAT PIG; for La Boite, AS YOU LIKE IT, RUBEN GUTHRIE, I LOVE YOU BRO. Designs for film include: production design A PARACHUTE FALLING IN SIBERIA (short); art department THE DISTANCE BETWEEN (short); and art department armourer NARNIA – VOYAGE OF THE DAWN TREADER. Renée won this year’s Sydney Theatre Award for Best Costume Design for TOP GIRLS and was nominated in the same category for her designs for HARP IN THE SOUTH, both with Sydney Theatre Company. She won a Matilda Award for Best Design for EDWARD GANT’S AMAZING FEATS OF LONELINESS (Sydney Theatre Company/La Boite). Renée holds a Bachelor of Design in Dramatic Art from the National Institute of Dramatic Art and a Bachelor of Interior Design from Queensland College of Art, Griffith University. In 2019, Renée designs BANGING DENMARK, THE TORRENTS (with Black Swan), and THE BEAUTY QUEEN OF LEENANE for Sydney Theatre Company, ARBUS AND WEST for Melbourne Theatre Company, and PRIMA FACIE for Griffin Theatre.